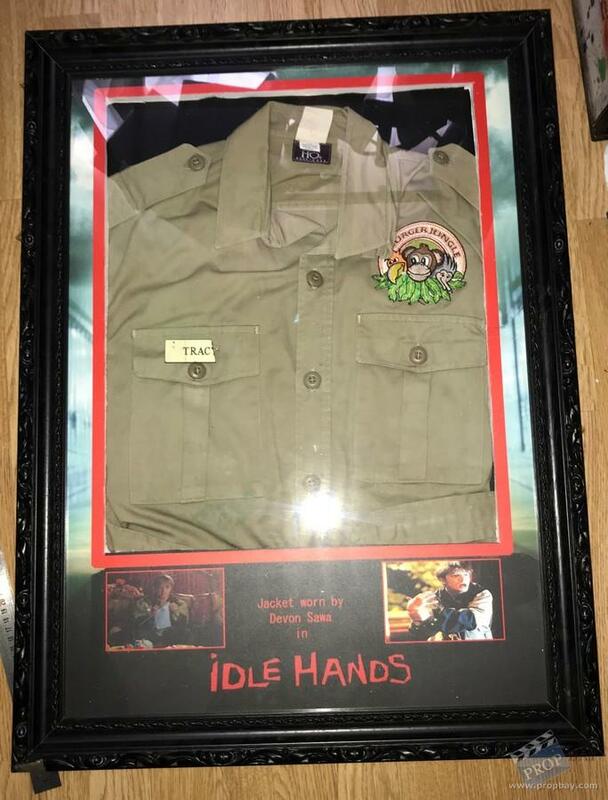 This jacket was worn by Devon Sawa as Anton Tobias in the movie Idle Hands(Columbia Pictures, 1999). The main plot of the movie follows the life of an average lazy stoner teenager, Anton Tobias (Sawa), whose hand becomes possessed and goes on a killing spree, even after being cut off from his arm. 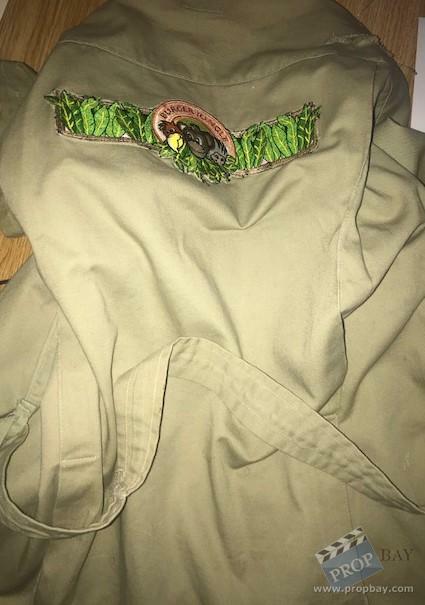 The jacket was custom made and includes no sizing information. The "Burger Jungle" logo are embroidered at the left breast, while the text "Burger Jungle" with a floral decoration is embroidered on the back. It has a broken name plate at the right breast. 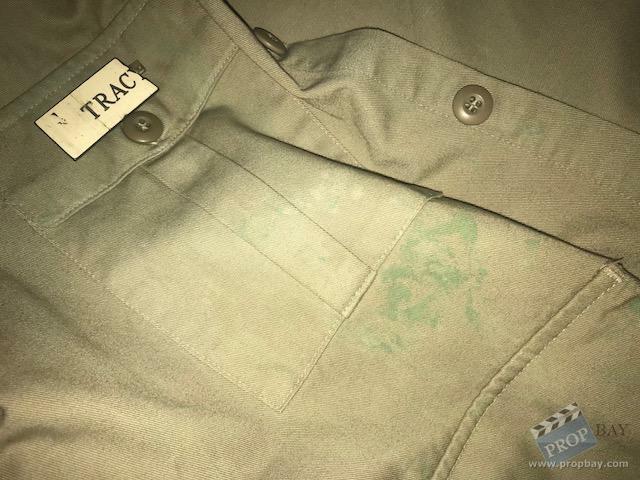 The jacket is marked "Hero" in the label, features intentional distressing and exhibits several green stains. Although the film was critically panned I love it. Added: 07-27-2018 - Viewed: 384 times.